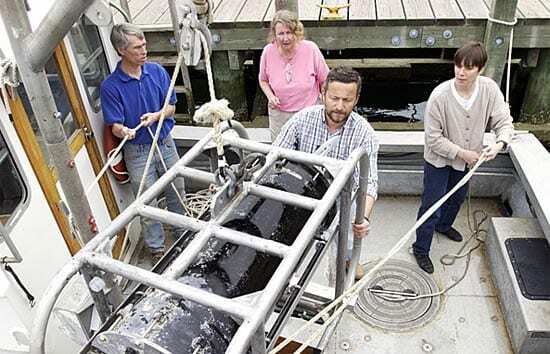 An automated underwater microscope developed by scientists at Woods Hole Oceanographic Institution (WHOI) detected an unexpected bloom of toxic algae in the Gulf of Mexico in February 2008. The fortunate early warning prompted officials to recall shellfish and close down shellfish harvesting, just days before a major regional oyster festival. 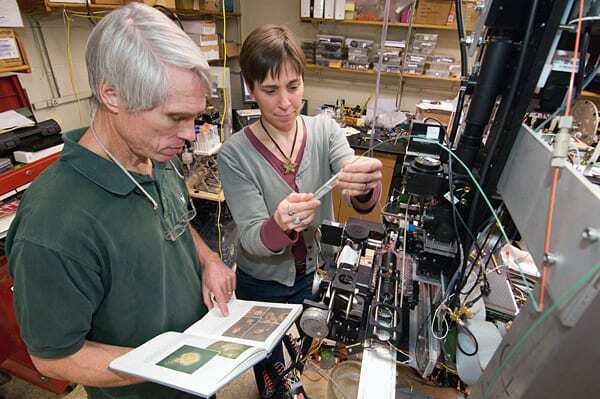 The instrument, called the Imaging FlowCytobot, was originally designed as a basic research tool to reveal the ebb and flow of a diverse range of microscopic plant and animal life in the ocean, said its developers, Rob Olson and Heidi Sosik. It sits underwater—photographing and counting plankton 24 hours a day for months at a time, and relaying information back to shore via fiber-optic cable. 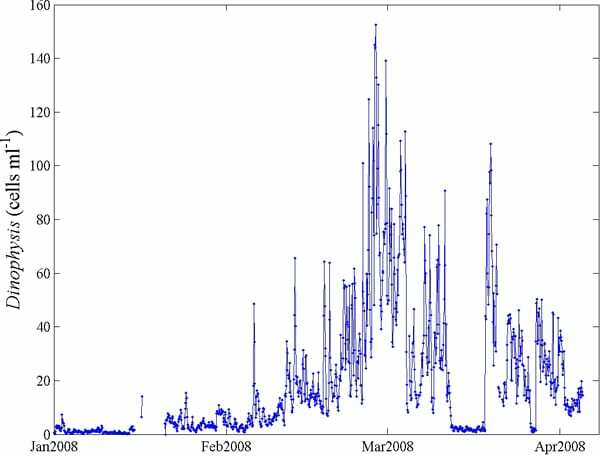 In the fall of 2007, Sosik and Olson collaborated with biological oceanographer Lisa Campbell at Texas A&M University to deploy the device in the Gulf of Mexico to look for seasonal blooms of toxic algae called Karenia brevis. The algae accumulate in filter-feeding shellfish, making them dangerous for human consumption. In mid-February, Campbell began to notice that the Imaging FlowCytobot was detecting rising levels of another toxic algae, Dinophysis cf. ovum, which causes diarrhetic shellfish poisoning in humans. Symptoms include nausea, cramping, vomiting, and diarrhea. Cooking the shellfish does not destroy the toxin. 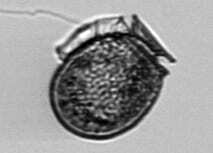 “We had never before observed a bloom of Dinophysis cf. ovum at such levels in the Gulf of Mexico,” Campbell said. In early March, Texas health officials closed local bays to shellfish harvesting and recalled Texas oysters, clams, and mussels. The Fulton Oysterfest, which attracts thousands of visitors, went on as scheduled March 6 to 8—by bringing in shellfish from non-tainted waters. No shellfish-related human illness was reported. Olson said it was “very satisfying to find that a technology we developed as a research tool can be so effective for protecting human health.” He and Sosik were recently awarded funding from the National Oceanographic Partnership Program to work with a commercial partner to design and build a version of the Imaging FlowCytobot for commercial use. “This will ultimately enable more widespread use of this technology by scientists and resource managers,” Sosik said. 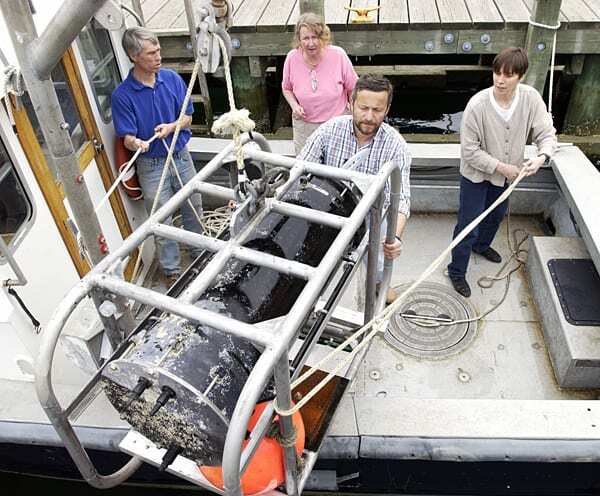 Funding for instrument development and earlier prototypes of the FlowCytobot and the Imaging Flow Cytobot was provided by WHOI—through its Ocean Life Institute, Coastal Ocean Institute, Bigelow Chair, and Access to the Sea Fund—and by the National Science Foundation. The Gordon and Betty Moore Foundation has funded Olson’s and Sosik’s continuing work on automated submersible flow cytometry. 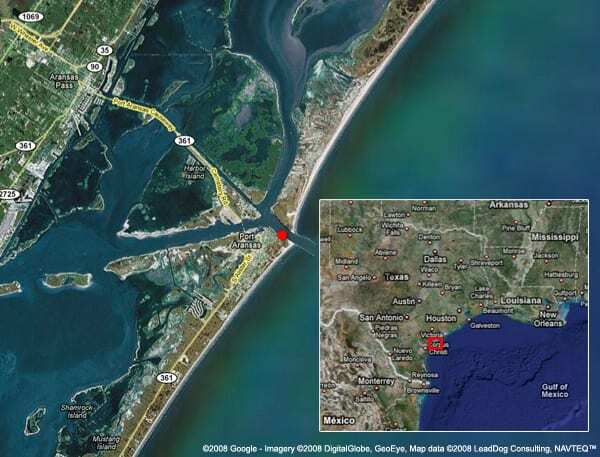 The Imaging FlowCytobot was deployed off Port Aransas, nearCorpus Christi, Texas. 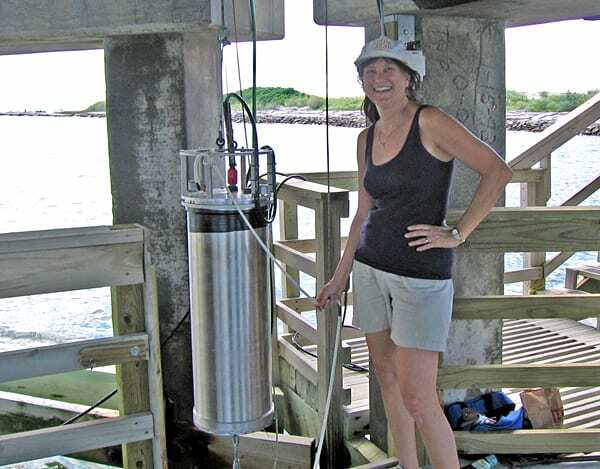 An interview with WHOI biologist Heidi Sosik from Oceanus magazine.